What? 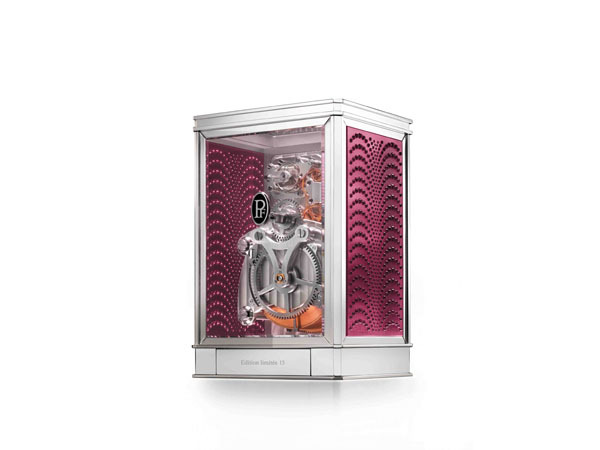 Parmigiani Fleurier and Lalique have collaborated to create that could be said to be the ultimate show piece – a special edition 15-day table clock. The design of the clock allows you to see the mechanics of this intricate Swiss timepiece while the fine crystal work shows off the inner-workings in exquisite detail. The clock is available in clear, red, blue as well as a very limited black crystal edition. Prices from £66,500.